The biscuit will be auctioned by Henry Aldridge and Son on April 27. 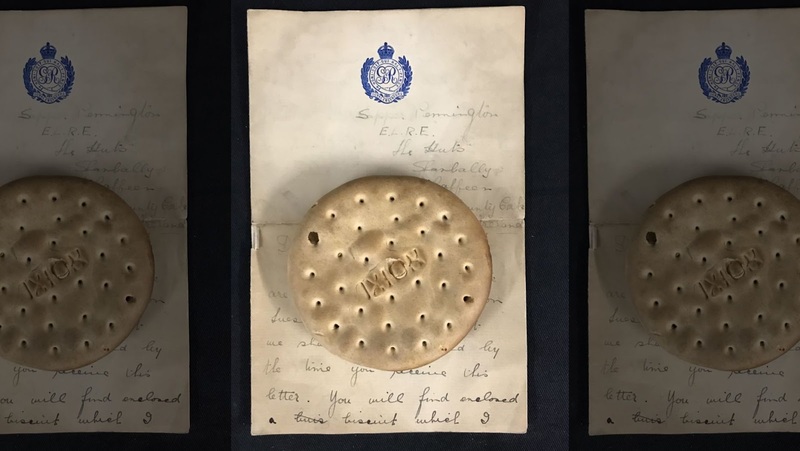 Auctioneer Andrew Aldridge told Fox News that the biscuit comes with a letter written by a British soldier in the Royal Engineers explaining how he obtained the unusual item. The soldier got the biscuit from one of Lusitania’s lifeboats when the liner’s survivors reached Queenstown (now called Cobh) in Ireland. A side rabbit trail: at the time of Lusitania's sinking, the Germans explained that, even with its civilian status, the ship deserved to be fired on because it was carrying LOTS of munitions. No way, the Powers That Be, shouted. A lot of innocent people just died...How Dare They... etc. etc. 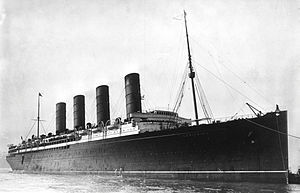 Successive British governments have always maintained that there was no munitions on board the Lusitania (and that the Germans were therefore in the wrong to claim to the contrary as an excuse for sinking the ship) ... The facts are that there is a large amount of ammunition in the wreck, some of which is highly dangerous. The Treasury have decided that they must inform the salvage company of this fact in the interests of the safety of all concerned. Back to the cracker...er, biscuit. Hardtack. Whatever. Here it is...worth more than its weight in gold. 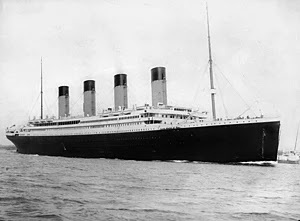 RMS Titanic sank in the early morning hours of April 15, 1912, taking more than 1500 passengers with it. Titanic artifacts have been incredibly popular...and pricey. 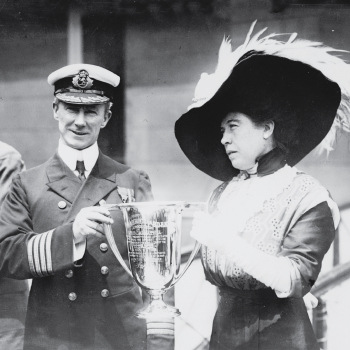 Margaret Brown's loving cup, awarded to the captain of the rescue ship Carpathia, sold for $200,000 in October 2015. Of course, items like this require a strong provenance -- and the loving cup was memorialized not only in print, but many photos. she's one of the people featured, along with a pattern based on this famous image. Go to the Brickworks website for more. Mention this post, and we'll even knock $5 off the $20 purchase price. Free shipping, too. 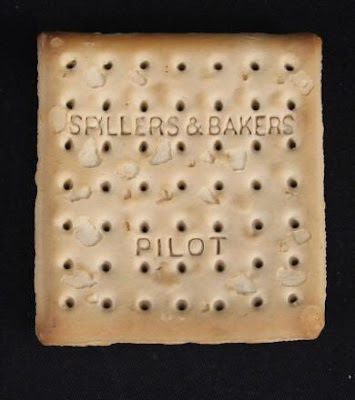 A cracker is a little more difficult to document, but there are obviously few doubts about its authenticity. We'll have to wait until April 27 to see if the Lusitania is just as popular as the Titanic, artifact-wise. My bet: we're talking at least $15,000 USD. More on the Lusitania biscuit auction here. More on the Titanic biscuit auction here. Yep, that's how I feel about roundabouts, too. More very funny (and thoughtful) signs here. As you may have heard, the Notre Dame Cathedral in Paris has suffered a horrendous fire. The flames are out, thank God -- and the bell towers were saved. 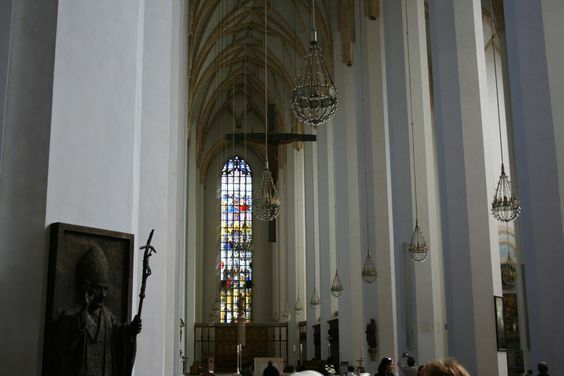 So were the rose stained-glass windows, though some sections were obviously damaged. 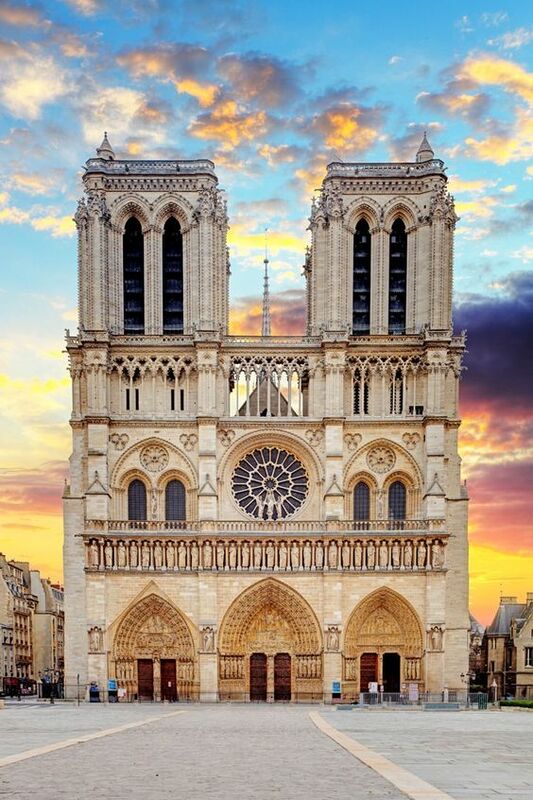 Notre Dame is still standing. Sort of. A number of artifacts cannot be accounted for, though many others were saved. A brave priest, among others, managed to grab a number of items, including a crown of thorns reputed to have been worn by Christ Himself. Black soot and damaged beams are everywhere, particularly from the roof, where the fire seems to have started. Fire is not a respecter of anything. Can they rebuild this 850-year-old beauty? Of course...but it will not be the same. It will be something different. 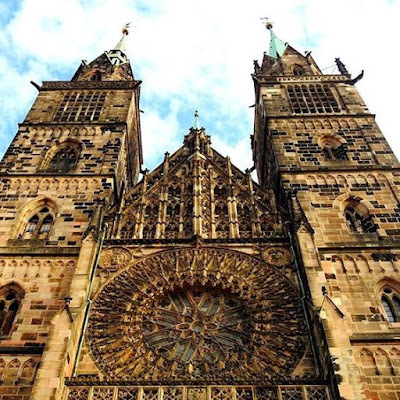 During the late Seventies, I had a chance to visit Nuremberg, Germany -- including their cathedral. I had grown up in a Baptist church, which disdained such fripperies, and was awed by the building's lovely Gothic design, including its huge rose window. Ironically, the following video says the church was repaired in the 1960s. That's not what I remember. I wonder, since the roof is now gone, if this will happen to Notre Dame, too. It has been undergoing nearly $7 million in renovations, and the fire is thought to have started somewhere in that area. Thankfully, the bronze statues were removed last week, so they could be worked on. 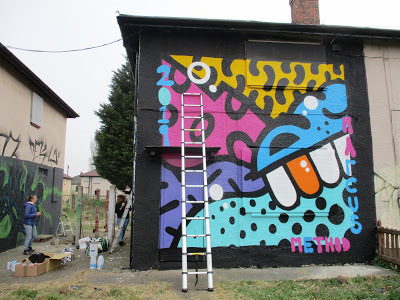 They're trying to save the artwork in the basement, as I'm typing this. The roof and central spire have fallen in. A spokesman is saying, "Everything is burning; nothing will remain from the frame." Update: Sounds like they've slowed the fire down -- and the frame is still sort-of intact. Both towers have been saved. Update: As of early Monday evening Colorado time, the fire is largely out. (Thank God...and I mean that literally.) More was saved from the interior's central area than previously thought- some, if not most, of the wooden pews are intact. 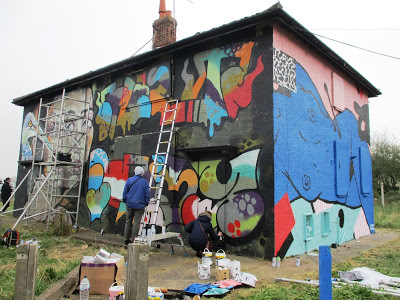 See this link for more. We are deep in the final steps of that great American pastime: TAXES. Papers are piled everywhere, and the calculator's getting a regular workout. This year, I wised up and used any year-end online statements I could find. In previous years, I laboriously gathered all the paper statements, then went through them, one by one. The only problem with this approach: the computer doesn't always separate out items like it should. Sometimes the business restaurant meal (deductible) is lumped in with a trip to the feedstore. (Not deductible, darn it.) That means I still have to trudge down the columns to double-check numbers and totals...but at least it doesn't take quite so long as the paper method. Instead of having to pay. 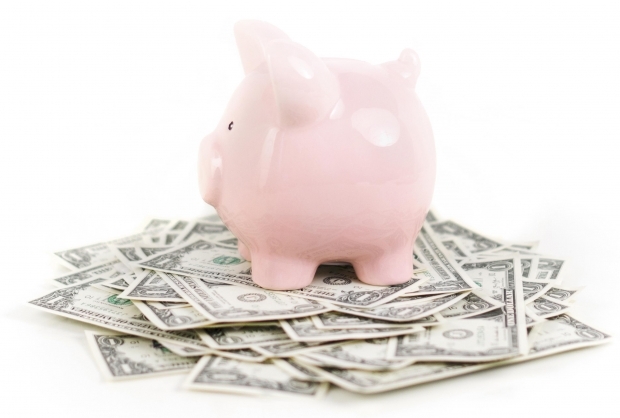 Don't forget -- there are good tax day freebies out there. You might as well take advantage of them. The difference between pounds, shillings, sovereigns, pence -- and other English money. If you read older British novels, this website is most helpful. Ten incredibly wealthy people you would NOT want to trade places with. There now...don't you feel better? Lovely mansions of old-time Hollywood stars. Take note, Gentle Readers, that those same houses, while more than 'comfortable,' are not generally valued at the big bucks many modern celebrities are paying. (Okay -- Gene Hackman's was $27 million -- but that's what he sold it for in 2015.) Smart. One of the first photos ever of a black hole. Wow. More about the Chinese woman arrested at Mar-A-Lago. And it ain't good. Ten amazing people who accomplished wonders -- without arms and/or legs. A Bigfoot encounter...at a rest area? One of the creepier stories I've heard lately. Bigfoot was also hanging around not long after Mount St. Helens exploded. Or so we're told. 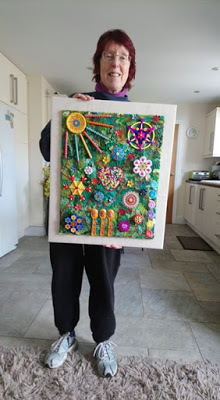 A new (to me) British blogger: Crafty Cats Corner. 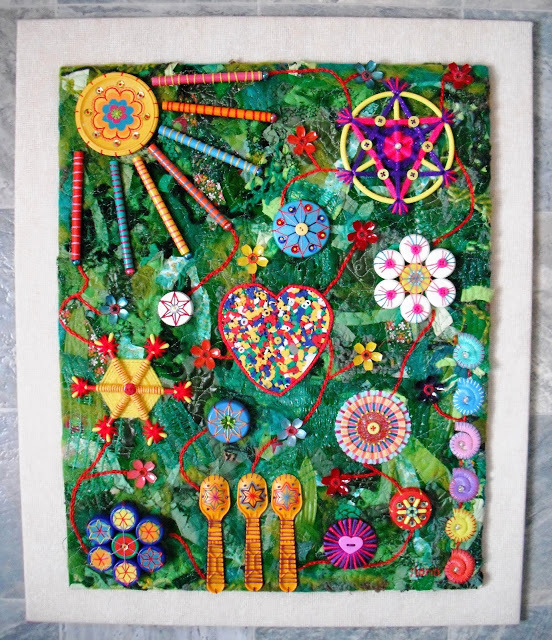 If you're an embroidery admirer, scroll down through her posts -- she's doing wonderful work. Cattle rustling -- today in Colorado. It's more common than you'd think. 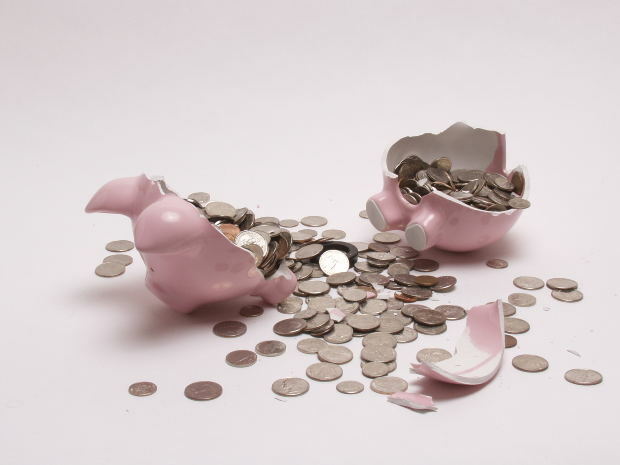 What it's like to grow up with more money than you can spend. Roy Disney's daughter tells her experience. Did you know Rob Gronkowski, who just retired from the Patriots, had 3 brothers who also played in the NFL...plus a brother who played professional baseball? His mom says she feels like she's retiring, too. Crazy purchases twenty celebrities made after their first big paydays. Cherokee inscriptions from a few centuries back are finally decoded. An old girlfriend, dressed in her own wedding gown, crashes her ex's wedding and begs him to take her back. Really?? Maybe she's just a drama queen...or this was a setup. Mail your taxes -- then have a great week. Are you grimly schlepping through papers and other flotsam and jetsam this weekend, Gentle Readers? If so, ease the pain with this list of Tax Day Freebies. Here's another list, courtesy of the Internet. We're thinking of taking advantage of Applebee's $1 Strawberry Margaritas, at the very least. We're all going to need it. Or are we having these 'teachables' to prepare for something wonderful in the future? 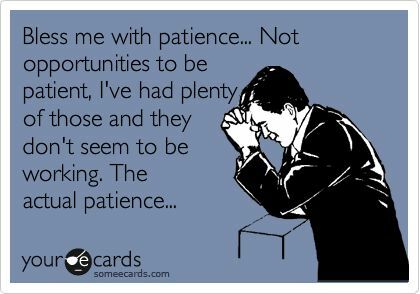 Now on to finish up the taxes -- and hopefully have a weekend that's more peaceful. 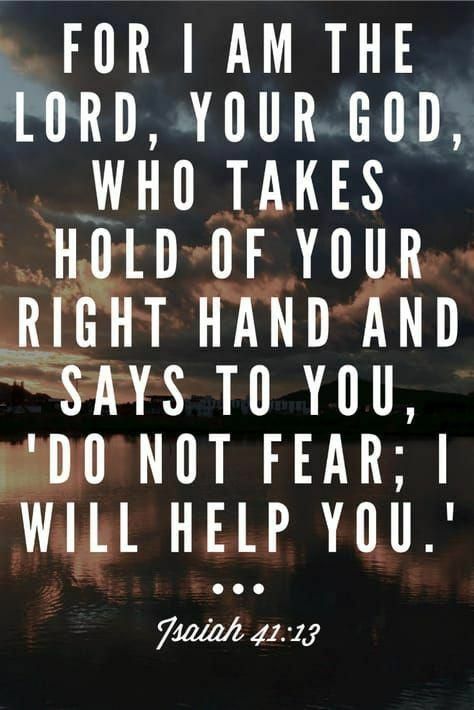 Thankfully, He takes hold of us left-handers, too. 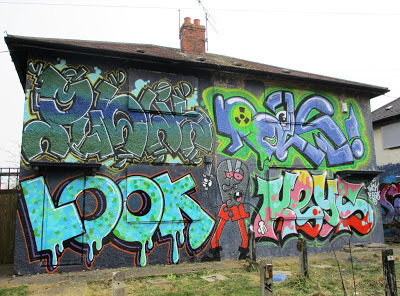 A British housing development (Preston Road in Hull) is due to be pulled down. 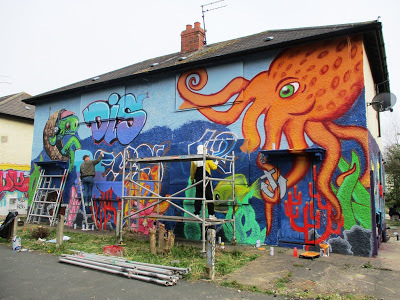 So what do the owners do, but offer the buildings to artists, to decorate as they wish. 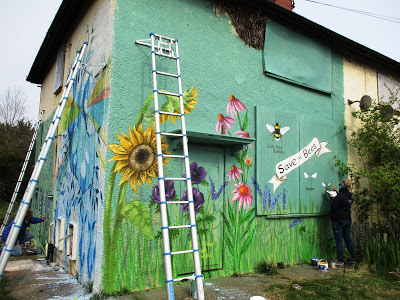 Luckily for us, Ilona, otherwise known as 'Mean Queen' (the blogger at Life After Money), happened to visit -- and take a lot of photos. What a celebration of color and style! I spent most of this morning in the dentist's chair, getting two cavities fixed and two crowns replaced. The old crowns had to be taken off in order to fill the cavities. Said Dr. Tedford, while banging away at the crowns -- 'These are too sturdy. I'm having trouble getting them out.' I said, 'Well, talk to the person who put them on -- you!' It's certainly much better to fault crowns as too durable, rather than the opposite. It was nearly three hours of work...nitrous oxide made it bearable, but not by much. That stuff may be called 'laughing gas,' but I certainly didn't feel like laughing. I staggered out of there, to be faced by rainy streets and dreary skies. By the time I got home, it was snowing heavily, and it hasn't stopped since. 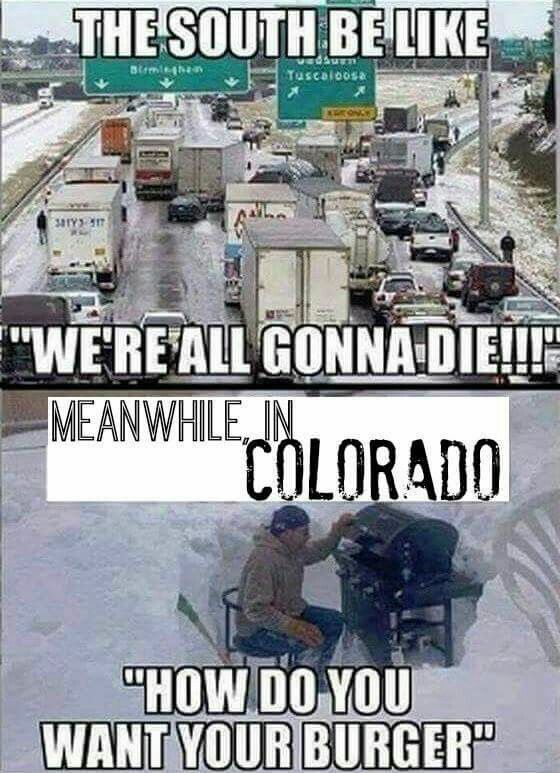 Colorado's in the middle of a big spring blizzard. Now for a nap, accompanied by the swishing sound of snowflakes coming down. 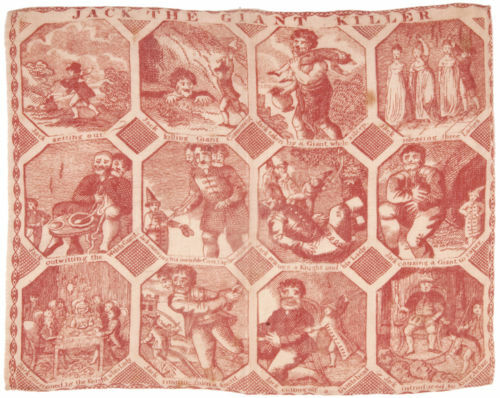 An early 19th century handkerchief. It contains 12 scenes from the fairytale 'Jack the Giant-Killer,' as well as giants in three versions: one-, two- or three-headed. Take your pick. One hardly ever gets to see an early 19th century hankie. They're frankly, quite fragile, and the dye is often unstable. The sellers of this piece, Early American Auctions, say it could even be late 18th century, which is stretching it a bit, I think. But definitely early 19th century. The price? A hefty $895 USD. They're considering offers, though. Go take a look -- quick -- before someone takes them up on it. Welcome...glad you're here! I make my living writing; often much of that is done in the craft world. I also teach (and judge) quilting events around the country, and am a personal property appraiser who specializes in textiles. We'll talk about lots of things on this blog besides quilting, though -- including frugal ways to save (including coupons and freebies), quirky events, lost (and found) treasures and shipwrecks, politics and who knows what else. Hang around -- I'll make it worth your while! Mary Lou and Cherries Too!